How to calculate the right Insurance Coverage? 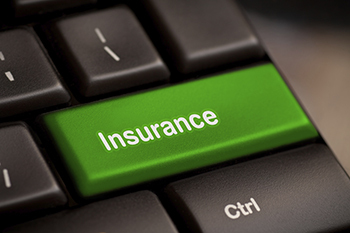 It’s really important to ask yourself as to what is the right insurance coverage in your case? What you need to understand here is that the main objective of life insurance is to provide financial support to your family, in your absence. Buying a Life Insurance is the first step in ensuring your family’s financial security. But unless you buy the adequate coverage, the security provided by the insurance will only be at best, partial. So it’s really important to ask yourself as to what is the right insurance coverage in your case? What you need to understand here is that the main objective of life insurance is to provide financial support to your family, in your absence. The cover should ideally, be big enough to settle all outstanding dues, generate inflation-adjusted regular income and provide funds for major life goals. Let’s see how you should calculate the right insurance cover for yourself. The very first thing to assess is your family’s current income and expenses. Broadly speaking, you need to multiply your annual income (minus your spouse’s annual income) with the number of years you wish to support your family. Ideally, you should consider salary increments (income) and inflation (expenses) while doing so. Calculate the outstanding amounts for all loans you have taken. This should include all components like interest, prepayment charges, etc. Life insurance should provide money to ensure that financial requirements of important life events like marriages of children, their education, etc. are easily met. Now once you are done with above calculations, sum of all three amounts will give your approximate insurance requirement. You can choose to adjust it for existing savings / investments. So if that’s the case, deduct the sum of all cash, savings, investments in stocks, NSC, PPF, existing life insurance amounts, etc. from the approximate insurance requirement. This gives you the actual insurance amount required. Now experts also suggest making provisions for errors in above calculations. So it’s a good idea to keep some buffer for any mistakes in assumptions. For this, it is suggested that you increase the actual insurance amount calculated above by atleast 20%. This is how you can calculate the right insurance coverage for yourself.